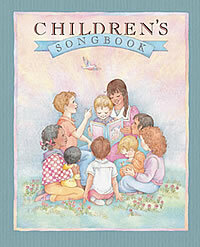 Are you interested in writing a children’s song for the Church’s recently announced new songbook for children? In this interview the prolific LDS children’s song writer Vanja Watkins said that a dissertation written by one of her former professors helped her immensely with her song writing process. Criteria for Selection of Children’s Songs in the Church of Jesus Christ of Latter-day Saints by Lue S. Groesbeck was written in 1966 but is still applicable today. Is the range of the song suitable for children’s voices? Does the melody begin on a scale degree that will establish tonality and be comfortable to sing? Does the melody create patterns of tension and release through careful use of the active scale tones and their resolutions? Are large skips followed be a reversal of direction? Are skips of augmented or diminished intervals and extensive use of chromatics avoided? Does the melody fit the expressive meaning of the text? Are high tones and sustained tones of the melody on extensible vowels of the text? Does the melody complement the mood of the text? Does the form of the melody contain a balance of repetition and contrast in its melodic, rhythmic, and harmonic movement? Are musical phrases clearly defined by an appropriate cadence? Does the length of the phrases permit children to breath normally? Does the rhythm of the melody match the rhythm of the text? Does the tempo of the rhythm change with the general emotional trend of the text? Are extremes in dynamics avoided? If dynamics are used, do they follow the emotional curve of the words? Does the accompaniment reinforce the expressive qualities of the melody? Does the accompaniment involve the common usage of the 18th and 19th century voice leading? Does the song represent a skillful and intelligent use of all poetic and melodic qualities? These criteria contain a lot of musical jargon. We would love to explain any of them in more depth if you would like more clarification. Please comment below or send us a message through or contact page. We look forward to hearing from you! Wow! Most of that is foreign to me! May I be truthful? This was kinda of discouraging! Where does inspiration fall into this opportunity! There are many musicians that would find this list intimidating! Sooo thank you for your help we will do our best to understand those guidelines! I myself in some of my ignorance have a great desire to compose! I will a prayerful steward! Thank you! Mary Hiett???? I like to think of writing music like writing a book or essay. The inspiration shows through in the content and message of the work. These criteria are like grammar rules. They don’t detract from the message, only enhance it.